Don't second guess this plant. I purchased too many for a small area. Appalachian Sedge - Carex Appalachica. The Appalachian sedge grows primarily, namely across the Appalachian Mountains and further north in the United States and parts of Canada. This is also the region where it grows best, though it can thrive further north into Canada and as far south as states like Alabama. It's equally suited to planting in the ground or pots, giving many options for where and how to display it. When matured, the Appalachian sedge can quickly grow to be as tall as a whole foot in height with approximately eight inches of spread, giving it a lush and soft appearance with how excellent its grasses look. To grow best, it should be planted in part or entirely shaded areas in dry, neutral soil. Infrequent watering is beautiful, as it is drought resistant and very hardy. Appalachian Sedge is not just pretty to look at but also a hardy grower. When you are getting ready for a new landscaping project, you want to choose plants that are adaptable and easy to manage. Take for example the Carex Appalachia 4 year bare-root which is a sedge that is most commonly grown in the eastern parts of North America. If you cannot find these at your local nursery, you will have a lot of luck at TN Nursery. We have a full stock of sedges at all times so you can get what you need when you want. If you are thinking about this sedge as your perfect sedge make sure you live in the entire growing zone. The soil needs to be incredibly well-drained for you to see some significant growth. Of course, this plant can grow in other soil types because this sedge can adapt incredibly easily. Most plants may not be as tolerant of areas that are currently experiencing a drought. This sedge, however, will do quite well in this particular setting. 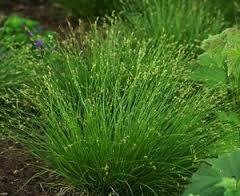 This sedge looks excellent when grown along walkways or paths that you might have in your yard or on your land. If you are worried about the transplanting process make sure you let us handle everything and give you the best information you can find. Choose Native Grass to enjoy your home, and in your water gardens, These plants will be beautiful around your pond or lawn. They will give your area a natural look. Native Grass will add beauty to your yard or ponds. These plants will add that special touch to your lawn or pond. 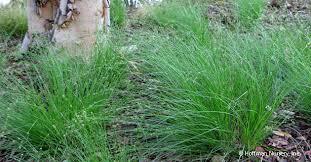 Applachian Sedge will also grow well on your garden and will help with soil erosion.